Please enter the name exactly as you want on your clip as well as which font you prefer. Example: McKenna, MCKENNA, mckenna - font #8. If you are ordering multiple clips and want them different, enter "notes to seller" and enter your information there. 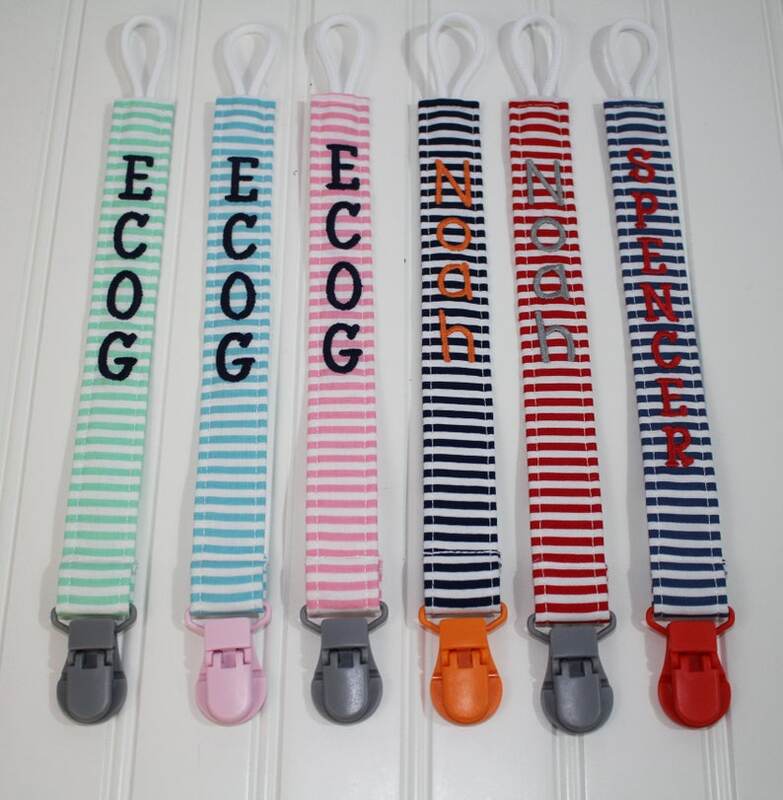 These cute little striped Pacifier Clips are our newest personalized clips with a plastic clip is the cutest accessory your little one needs! No need for anymore lost or dirty pacifiers or dropped small toys - simply use these to clip your baby's pacifier or small toy onto clothing, car seats, strollers, slings, blankets, bibs, etc! Made with 100% designer cotton fabric. Price includes personalization.